30 Days Money Back Guarantee. FREE Same Day Shipping on all orders. 3 x Indoor antenna that can boost voice & data signal for an area of 25,000 sq ft and above on all carriers. Ships in 24 to 48 hours. 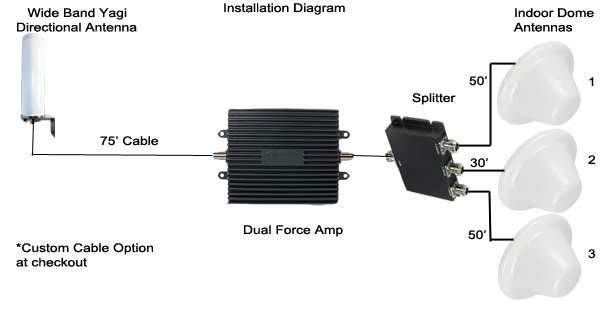 This 2017 CE Pro BEST award winner FORCE5 2.0 do-it-yourself amplifier kit is a 5 band system with 72dB gain is suited for large enterprise type buildings. 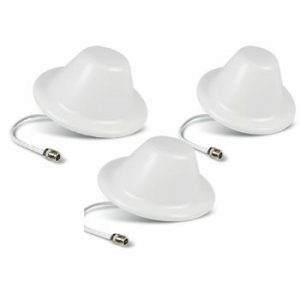 This system comes with 3 indoor dome antennas that can cover a combined area of 25,000 sq ft. This 5 band system is scalable to multiple floors or multiple sections in one building or adjoining buildings. 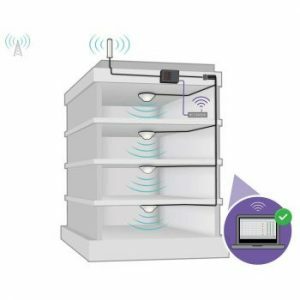 First to market with Sentry remote monitor and control using a mobile app, a feature added due to popular demand from building owners and IT managers that maintain the building networks. It is also important to note that, this is a plug-n-play systems that works out of the box! 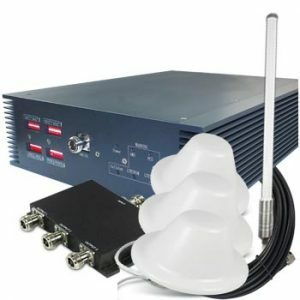 External omnidirectional antenna to communicate with the cell tower or directional Yagi antenna can be chosen at checkout! 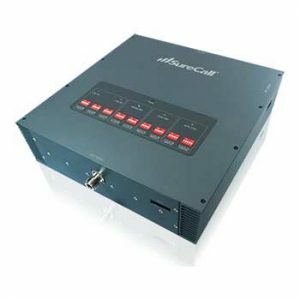 Sentry remote monitoring is included in all Force5 systems gives you the additional option to keep a close eye on the operation of the cell phone booster system. BEFORE USE, you MUST REGISTER THIS DEVICE with your wireless provider and have your provider’s consent. Most wireless providers consent to the use of signal boosters. Some providers may not consent to the use of this device on their network. If you are unsure, contact your provider. You MUST operate this device with approv3ed antennas and cables as specified by the manufacturer. Antennas MUST be installed at least 20 cm (8 inches) from any person. You MUST cease operating this device immediately if requested by the FCC or a licensed wireless service provider. WARNING. E911 location information may not be provided or may be inaccurate for calls served by using this device. Please note, the four largest carriers, namely, AT&T, T-Mobile, Verizon and Sprint, and more than 90 regional carriers have given a blanket consent to all boosters meeting the new certification standards. Our management was looking for a solution to improve cell signal in our warehouse . This product was picked with the idea of boosting cell signal in multiple areas with in our facility. The instructions was a little confusing at first but the technical support resolved it and it was pretty straight forward installation. 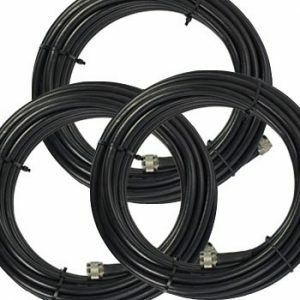 We opted to run our own custom cables and purchased a 500ft cable and end connectors separate. We have 4-5 bars all the time and this solution turned out be the most cost effective among all others we were suggested! We used this on one of our school buildings. The installation was fairly simple and the results were pretty good considering the initial 1-2 bars . The cable it came with was not enough, we had to custom fit one antenna on the 3rd floor.